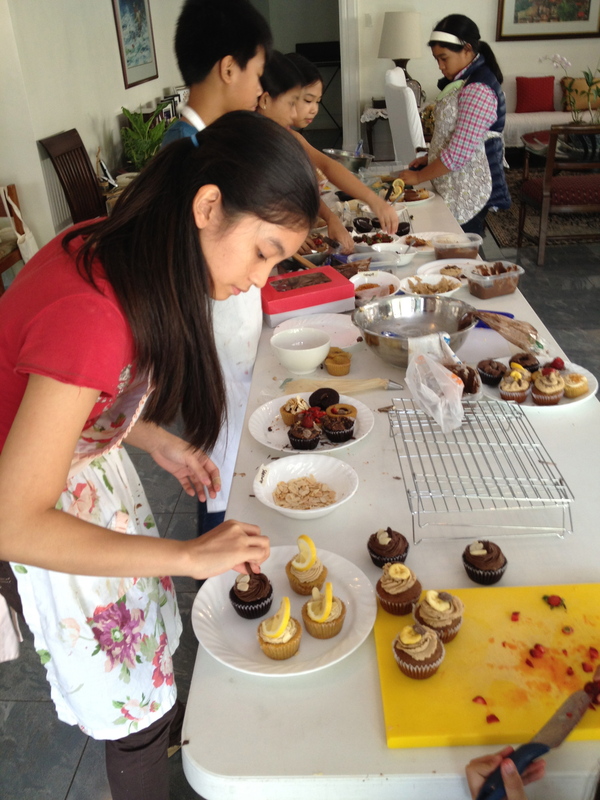 Today marks the fourth cooking / baking class I’m holding this summer for kids. 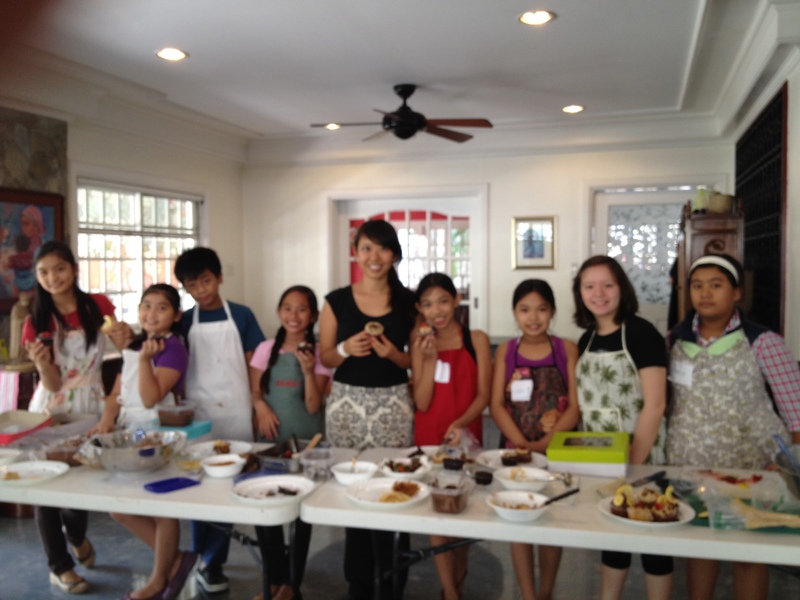 I’m having a blast sharing my passion for healthy, plant-based cooking to kids who aren’t vegetarian and aren’t necessarily big fans of vegetables. 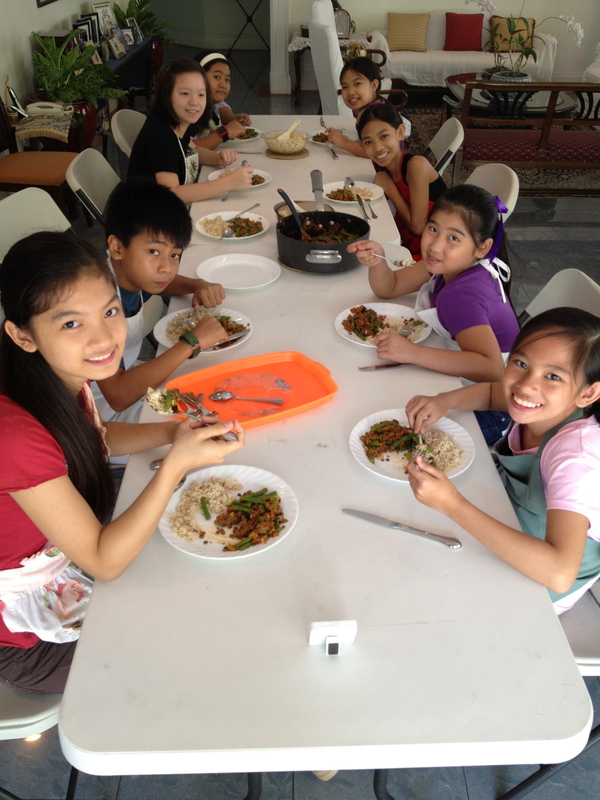 My goal is to get them to learn knife skills, cook with herbs and spices, and play around with unconventional ingredients such as beans, cashews, tofu, and homemade vegetarian sausages. It warms my heart to see them enjoy veggie meatballs, whole wheat pizzas, and lentils! 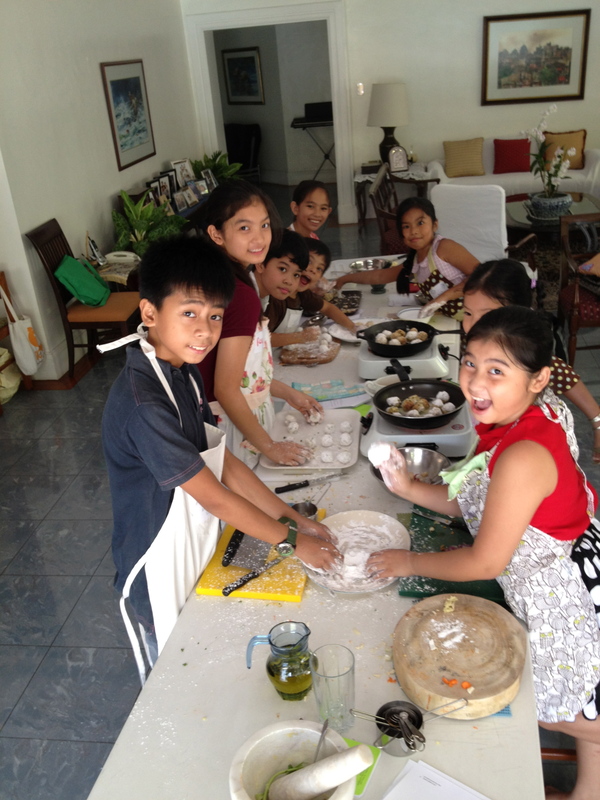 Kids will eat healthfully if you let them prep and cook food right from the start. You can’t impose your love for vegetables on them but you can tell them to try something unusual at least once before they decide they don’t like it. Kids will respect you if you treat and talk to them like adults (it also helps if you have a fat cat chilling in the garden begging for tummy rubs). One of my fears while preparing for these classes was that I might lose my cool. Back in my elementary school days, there definitely were occasions when my whole class would push our teachers’ buttons. We took pride in it, too. No button pushing in Cucina Revolucion, though. So far, so good! You won’t feel old until you spend time with people half or a third of your age. I’d like to share some class photos with you. These classes make Kitchen Revolution truly feel like a revolution. Next week I have 11 kids for Mexican class and I cannot wait! Death by vegan chocolate truffles, fondue, and peanut butter cups. Lunch of whole wheat (no queso) quesadilla with guacamole and salsa. 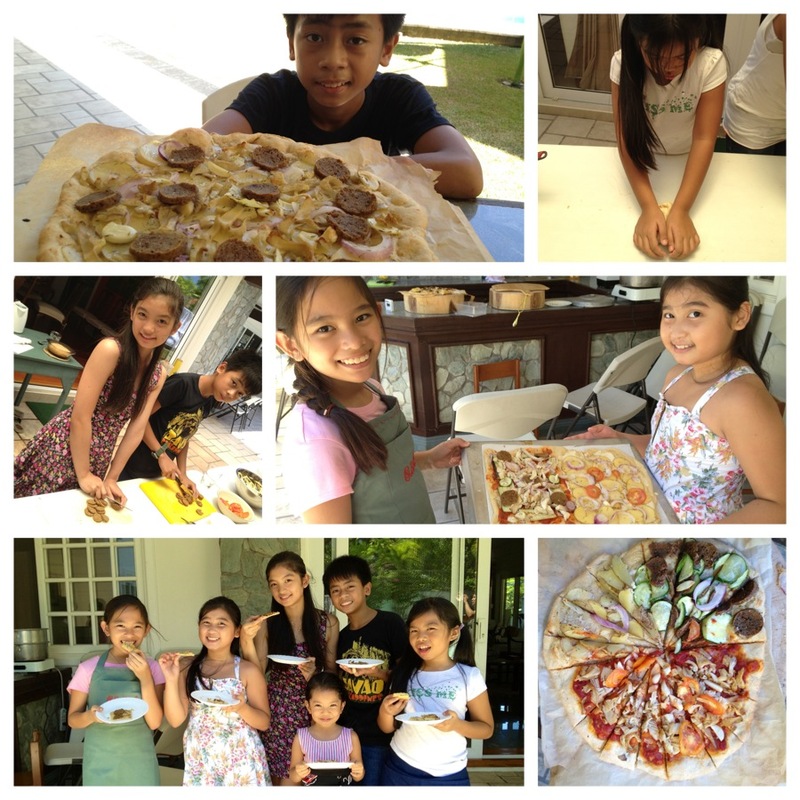 Kids making and enjoying whole wheat vegan pizzas - anything is possible! 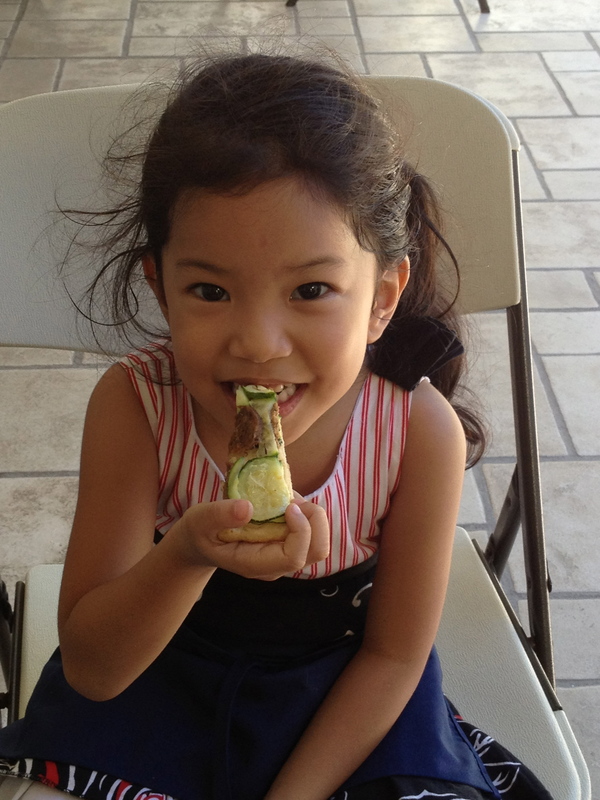 Cutie patootie Panpan enjoying a slice of sausage and zucchini pizza. Whole wheat and vegan, thank you very much. Today's lunch: lentils, vegan sausage, and string beans with brown rice. 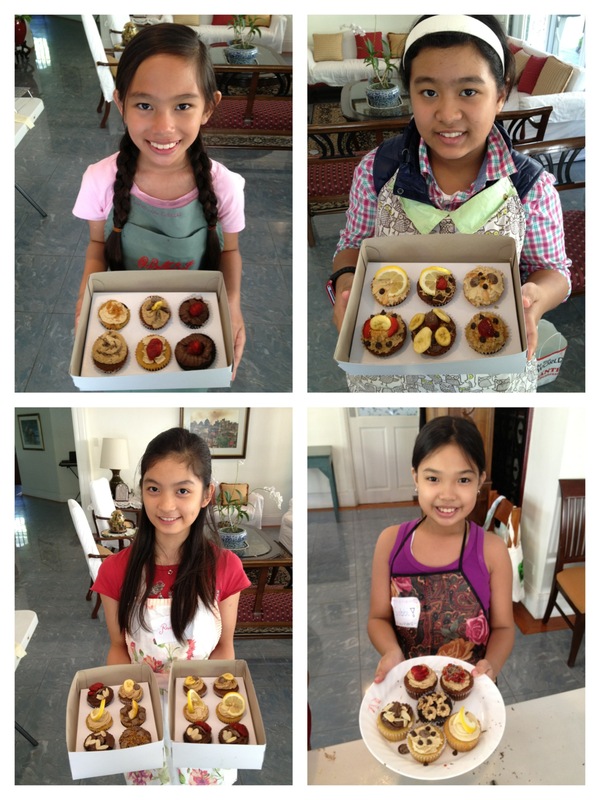 Me and my 8 pastry sous chefs! 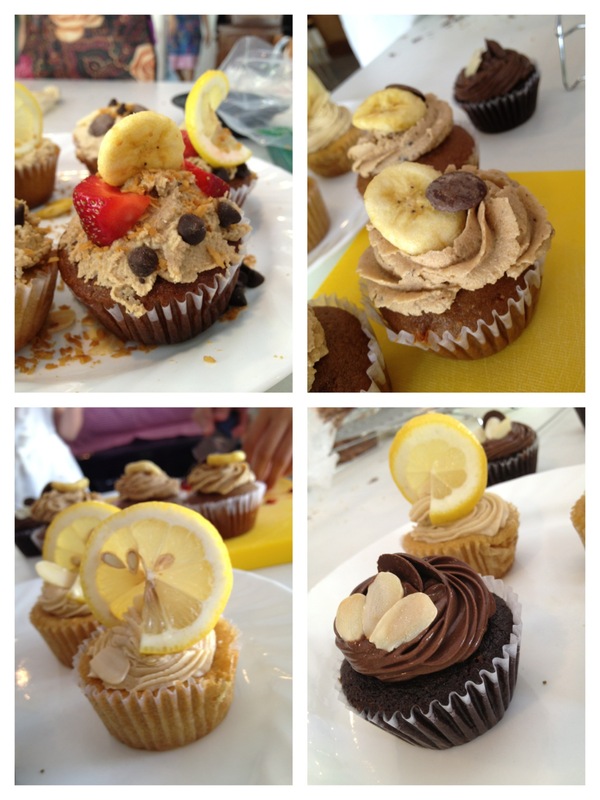 Dairy free, egg free cupcakes and their makers. Nothing fake, just pure deliciousness. Hi! 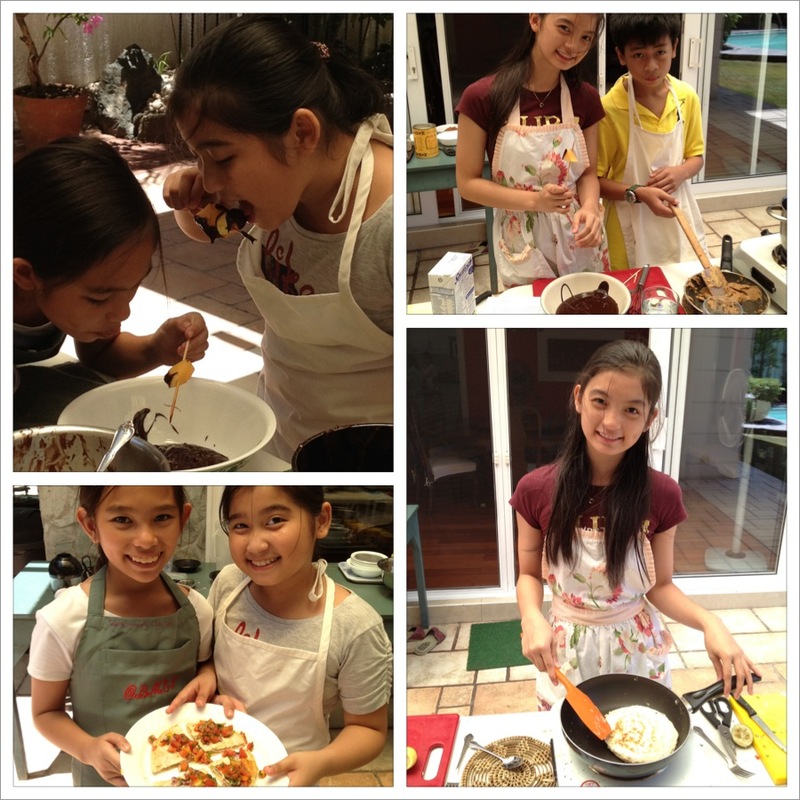 Hope you have also cooking class for kids here in makati for May. 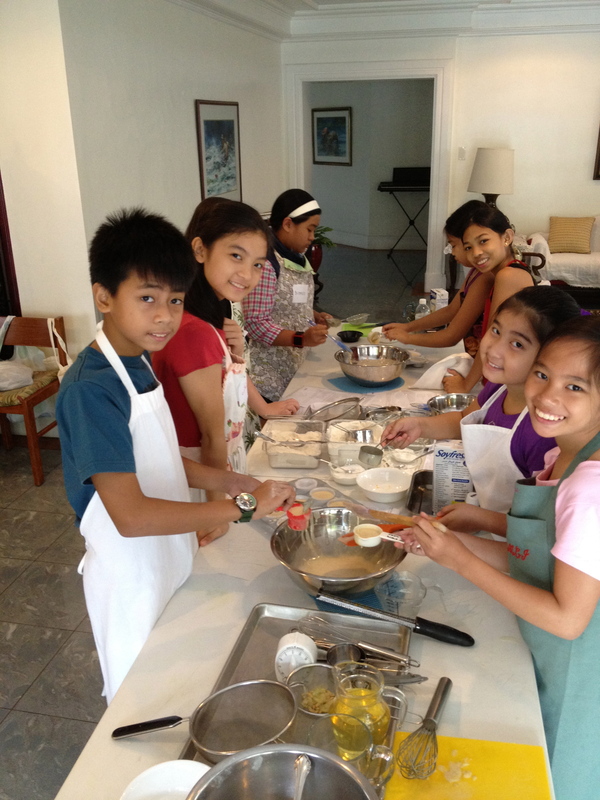 I’m also disheartened that I missed your cooking class at Blue Waters in Cebu. 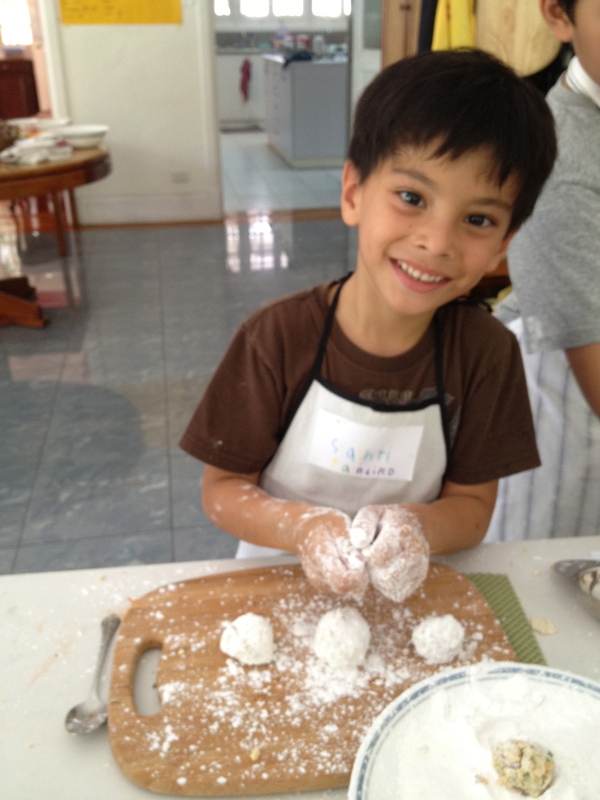 It would be great to attend one of your cooking classes one day and meet you in person. Such a great mission you have and I fully support your ideals. Hi MJ, thanks for your sweet message! I’m sorry you missed my Cebu workshop. And regarding ‘cravings’ / slipping up, it’s good to have a solid foundation on why you made the switch in the first place. I was a carnivore back in the day — I even once tried Atkins at the attempt to lose weight (never again!). I stay grounded with the thought that going vegan means not supporting animal cruelty. No animal had to die for me. Each meal is joyful because death was not a part of it. This might sound so cow hugger-ish, but I’ve learned to embrace my cow hugger-side. If you find yourself swaying meat-side, no big deal — pick yourself up and go back to veggies. If baby steps will help you transition, then do so. If you’re good with absolutely meat-free living, awesome. Do let me know next time you find yourself in Manila and hopefully I do get invited back to your part of the country for another workshop!